In recent months we’ve talked about how to transport a car to Europe for a continental road trip, as well as our special on getting to and from Russia for the World Cup. But if you’re getting a car transported to Europe for a driving holiday, how can you decide what to do while you’re there? Of course there are plenty of apps for planning a road trip driving route, as well as tourism apps for some of the most popular destinations – but what about the social media apps you already use every day? 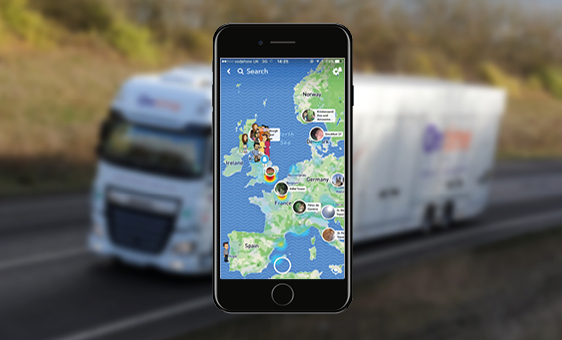 Here are three ways to use social apps to plan a road trip in ways you might not realise are possible; so while we take care of the covered car transport to get your wheels there on time, you can take the stress out of planning the rest of your trip too. Twitter Advanced Search is well hidden – you’ll need to run a normal search, then click on Show Search Filters, and then click on Advanced. Under ‘Places’ click Add Location. If it adds your own location, don’t worry – just click it again and change it to the place where you plan to take your trip. You can also find all the tweets from close to a particular location by first finding one tweet from there, and then just clicking on the location at the bottom of the tweet. Both of these methods can show you what’s going on right now in a particular part of the world – and Advanced Search can also filter by date and language, so you only get tweets you can understand without translating them. One of the most fun ways to find out what’s happening elsewhere in the world is Snapchat’s Snap Map feature (if you’re not aware of this, you should also check it out in case you want to disable broadcasting your own location when you post to your public story). Pinch the camera screen or tap the search icon and then the map symbol to launch Snap Map. It will focus on your own location first, but just pinch again to zoom out, and reverse-pinch to zoom in on any location in the world. As long as people there are posting public snap stories, you’ll be able to view them. It’s a great way to see popular hangout locations from locals and tourists alike, which you can incorporate into your road trip route. Bing Search is available as an app for most devices, or you can access Bing Maps directly online at https://www.bing.com/maps. However, in some cases to get Bing Maps to load, you’ll have to switch your phone’s browser to Desktop Mode and make sure you don’t have the Bing Search app installed. It’s worth doing this though, or just accessing the website on a desktop computer, as it’s much more effective than Google Maps for finding local attractions, hotels and restaurants, coffee shops and grocery stores. It also has a ‘Search Nearby’ option that allows you to add multiple local searches to the map, with each set of results given its own colour-coded pushpins. When you’ve planned a stop-off point and need to find somewhere to eat or to sleep for the night – or even just a place to park up or refuel – this is a really easy way to get a customised map that you can save or screenshot for once you arrive.